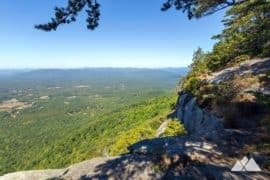 Looking for a quick hike? 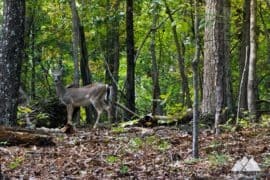 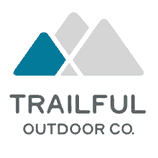 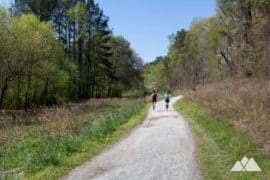 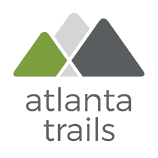 These Georgia hiking trails travel distances up to two miles along Georgia’s most popular trails. 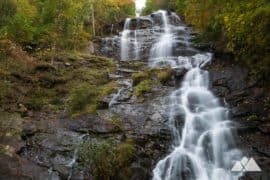 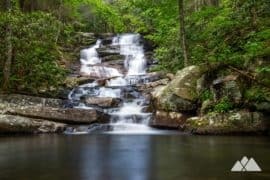 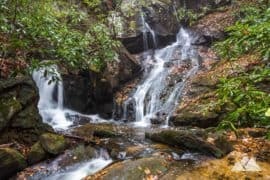 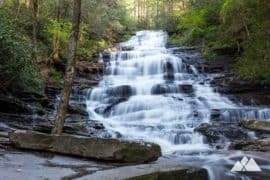 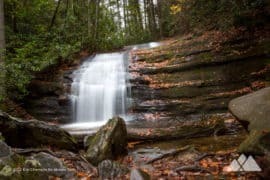 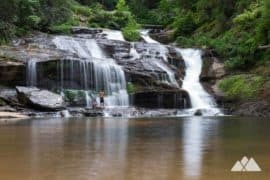 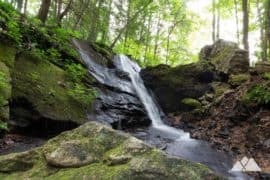 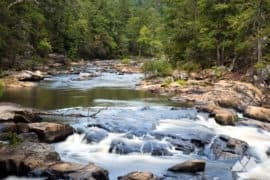 Hike the Minnehaha Falls Trail, a short, easy, kid-friendly hike on Lake Rabun in North Georgia, to a beautiful, towering, cascading waterfall. 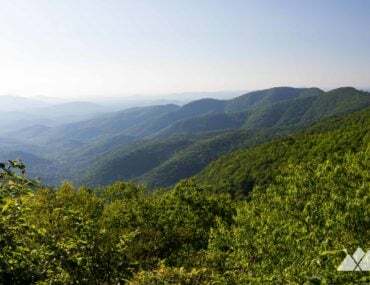 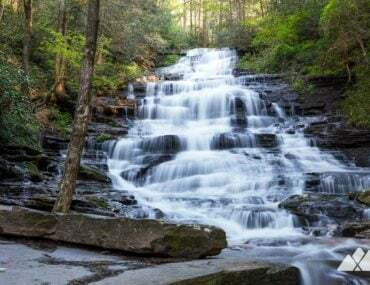 Hike a scenic stretch of the Appalachian Trail in Georgia to the beautiful Long Creek Falls, and explore the lush, waterfall-filled Three Forks valley. 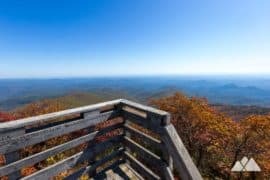 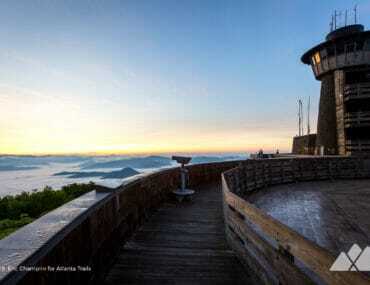 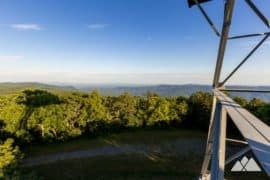 Hike a short but steep trail to the summit of Brasstown Bald, Georgia’s tallest summit, climbing through a mossy forest to seriously stunning 360-degree views. 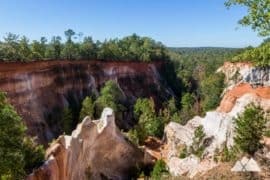 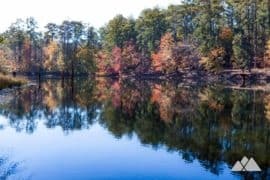 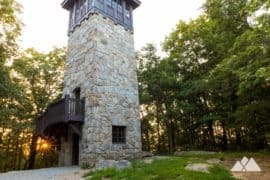 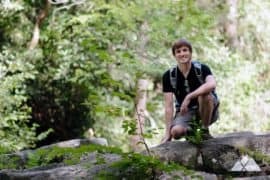 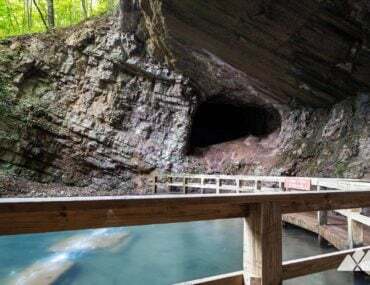 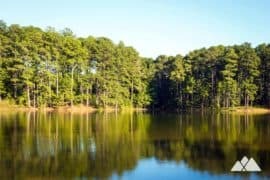 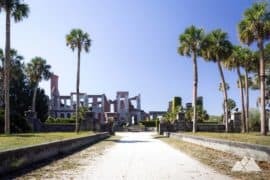 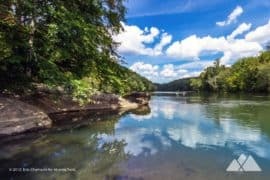 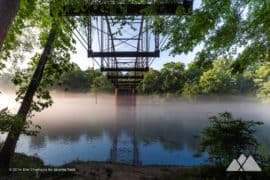 Hike the Marble Mine Trail in Georgia’s James H “Sloppy” Floyd State Park to an abandoned mine entrance, a trickling waterfall, and beautiful sunset views over a glassy lake. 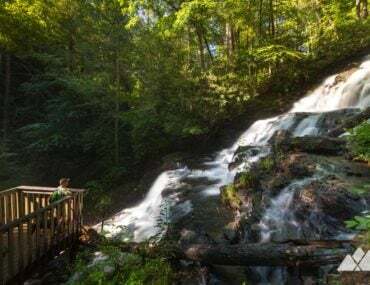 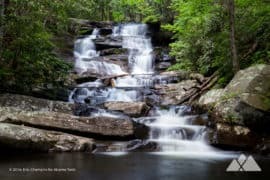 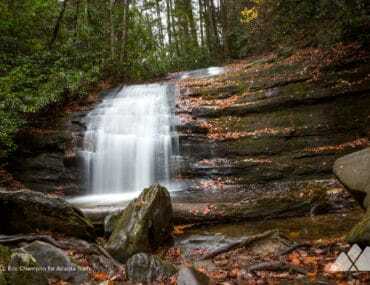 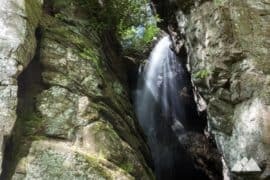 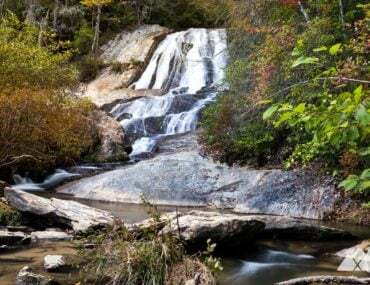 Hike the Bartram Trail to Dicks Creek Falls, an enormous tumbling waterfall on the ultra-scenic banks of the Chattooga River. 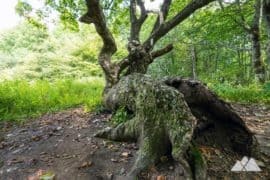 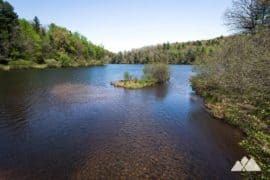 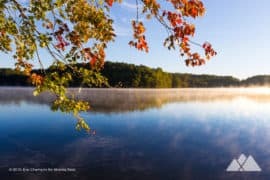 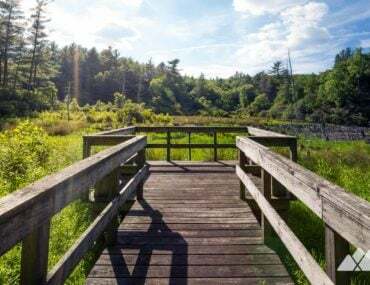 Hike a scenic stretch of the Cohutta Wilderness on the Songbird Trail near the shores of Lake Conasauga, visiting a high-elevation mountain bog, beaver ponds, and a beautiful forest frequented by songbirds. 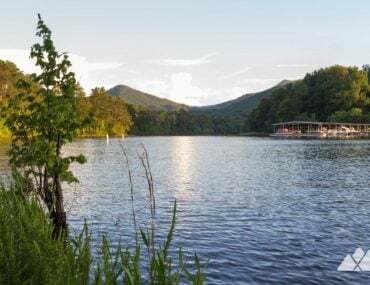 Hike along the banks of gorgeous Lake Chatuge, catching beautiful lake and mountain views on this short but scenic trail near Hiawassee, GA. 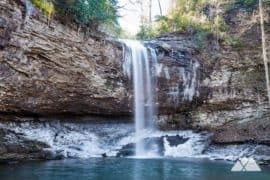 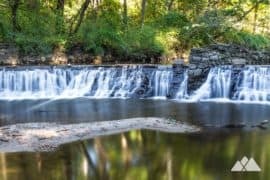 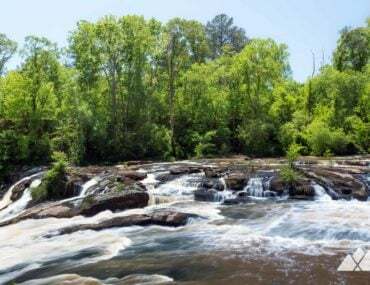 Follow the Falls Trail at High Falls State Park, hiking a double loop to beautiful views of a series of enormous, thundering waterfalls near Macon.